Reality captured in photos by Istanbul cab driver Sevket Sahintas. There’s an equivalent series here in Berlin that is not being captured as far as I know. Were Germans supposed to be particularly ordered and machinelike? Was it possible that Germans really were ordered and machinelike? There was no way to go through life, in Turkish or any other language, making only factual statements about direct observations. You were forced to use -miş, just by the human condition—just by existing in relation to other people. How would I get anywhere in life? How could anyone ever be interested in me? But I couldn’t stop thinking about á and à—about Europe, where even the alphabet emitted exuberant sparks—about Ivan’s mother’s Mazda, and how you were always sad when you left Rome. “You really like this boy,” she said, sounding so sad and affectionate that tears came to my eyes. “I feel like a kid.” “Like a little girl, huh? It must be really terrible for you.” “I learned Turkish when I was three, so I don’t know enough words. I can’t talk about anything,” I said. And still no waking moment went by that I didn’t think of him—he was in the background of everything I thought. My own perceptions were no longer enough to constitute the physical world for me. Every sound, every syllable that reached me, I wanted to filter through his consciousness. At a word from him I would have followed him anywhere, right off the so-called Prudential Center. “In Turkey? You wouldn’t have a nervous breakdown. You’d give them a nervous breakdown.” I forgave him for a lot when he said that. I forgave him for almost everything. A less beautiful girl wouldn’t have said that, I thought. Beautiful people lived in a different world, had different relations with people. From the beginning they were raised for love. Turkish MC XiR has a new trap song out with the noteworthy title Angela Merkel. There is even somebody with a Merkel mask in the video. 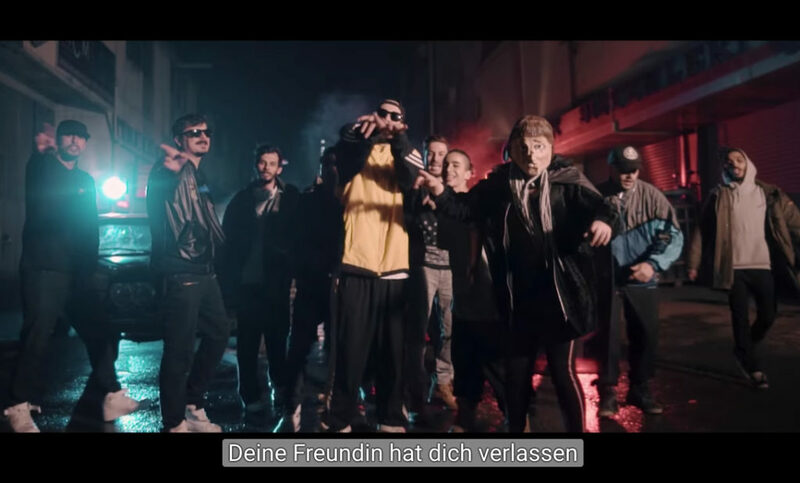 The video has a quick and dirty German subtitle bundled with it which you can turn on and read. In the spirit of international relations, I will translate to English the hook of the song (lyrics on Genius). The rest of the song is either not that interesting or I’m missing out on a lot of inside baseball. Either way, I won’t try it. I can’t make much more of it other than that the mythologization of Angela Merkel continues. I’m curious what the German foreign office thinks about that. I have followed the Turkish elections on the night from Sunday to Monday which turned into a gripping account of prime minister Erdogan trying to steal the elections while most of the people were sleeping. Orchestrated blackouts had drawn out the count. The twitter block didn’t prevent activism from spreading but did reduce the reach of its effects. Those that knew and cared about it were at the counting locations trying to safeguard the ballots and the tallies. The tally notes were shared to be able to corroborate them with entries into the online result system. Most of those results have been off, some by a small amount, some by a larger amount. Altogether it was a mess and from the cross section of tallies I’ve seen it’s hard to believe that the AKP would have fully swept Istanbul and Ankara. What follows now is a long process of chasing the issue into Turkey’s notoriously horrible judicial system. It is unclear whether that will have an effect other than reducing the trust people in Turkey have in institutions even further. Yesterday I learned unexpectedly but viscerally that democracy is worth defending. It's not the best feeling but I'd still recommend it. What that night did teach me after the lukewarm Dutch municipal elections is that democracy is an institution worth defending both when things are calm but especially when times are tough. I am finally allowed to participate in a vote in Berlin. The European Parliament elections may be lackluster but I’ll take whatever little democracy I’m given. I’ll post back here about how that vote and its count goes. Something else that is noteworthy is the dismal coverage the elections got in the Dutch mainstream media. For any kind of news event that you are interested in, following tweets either in the local language or by English speaking commentators on the ground provides a far better experience. What I saw on Dutch television and in Dutch newspapers was predictable, shallow, disconnected and actively shameful.